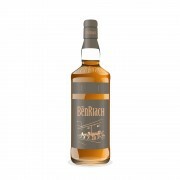 I may sound like a broken record here, but I like Benriach. Quirky names, colourful bottles, and they seem to give any distillation or maturation technique a go. Triple distillation here, some peat in there, and an obscure finish on that. Of course, being so carefree wouldn’t matter if they didn’t know what they were doing, but they do. They make good stuff. This 12 year old, Latin-themed, peated, rum-finished whisky with a purple label is an example of them at their eccentric best. Nose: Clean and fresh, with big cereal notes. Rich barley, lemon lozenges, big peat, heather, honey, pear, and ginger. If you’ve lived in or been to a tropical country before, you might know the smell of a sugar cane field being burned before harvesting. That smell is here, too. Palate: Good, medium-thick mouthfeel. Arrives on peat. A big, robust, clean peat, sans the maritime flavours we get from Islay. Strong barley, honey, pear, ginger ale, cereal, earth, heather, lemon lozenges. Finish: Light honey, lemon lozenges, aloe, faint spearmint, barley, cereal, minerals, pear, ginger ale, popcorn, and burnt sugar cane. Long and crisp. Thoughts: This is my kind of whisky. It’s not flashy or strikingly complex, but the core flavours have great depth and intensity. Juicy barley, heather, sweet peat, honey, and cereal cooperate beautifully, and remain consistent throughout. The barley and heather are especially wonderful. Can I say meadow-y? Also, the rum finish gives the sweetness added dimension, all the while working in that lovely burnt sugar cane note. Don’t expect a typical Speyside or Islay profile here. 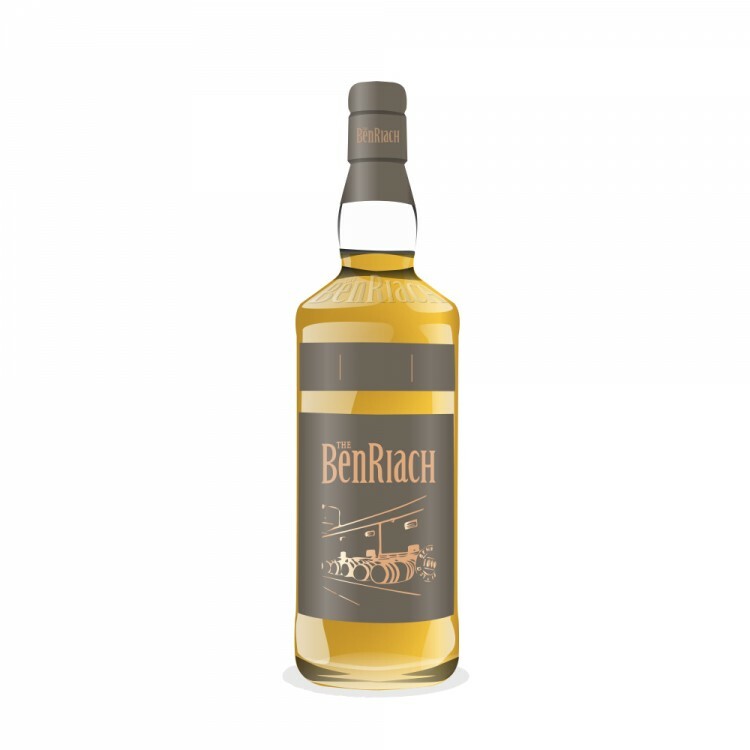 Don’t even expect a typical Benriach profile, this one stands alone. What you can expect is a fresh, savory, and delicious whisky. I should also mention how affordable this is. Really cool stuff, extremely recommended. Hi @hunggar, many thanks for a great review. I put this one onto my shopping list right away! I am not too much into BenRiach (yet) but I might be getting there in due time. I really like the regular 16yo as well as the 17yo Septendecim, and of course the management team is legendary within the industry. Cheers! @Pierre_W, I'm a big fan. Who else has such an adventurous portfolio? Of course there are some pretty clear winners and losers in their range, but at least they've got the balls to be different and, dare I say, more interesting than "traditional" distilleries. This one in particular surprised me. Expectations weren't too high, as this gets some pretty mixed reviews. I think it's fantastic, hopefully you will too!